Our films have received several prominent awards from parenting publications, educational institutions and therapy programs. Find out how our films can help a struggling child. Professor Child films focus on kids teaching kids. Children share their stories of what’s it’s like to experience some of life’s most challenging events. Their stories offer advice, hope and a relatable message for any child. Helping kids navigate their way through the stress and anxiety of everyday life. Guided meditations by Professor Child encourage mindfulness and help children feel empowered and centered. We develop educational films and workbooks for children focusing on challenging events that may arise in a child’s life. 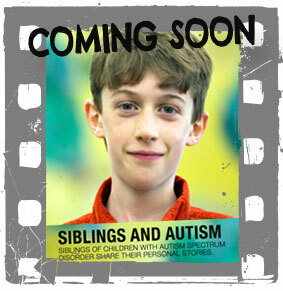 Our documentary-style films highlight the personal stories of children who have experienced these challenges directly. Their stories offer advice, hope and a relatable message for any child dealing with the effects of divorce, experiencing grief, the challenge of growing up in a military family, being a brave sibling to a child with Autism Spectrum Disorder (ASD), and helping with a smooth transition into Middle School. The films and workbooks are used as a communication tool by parents, counselors, and therapists as well as large – and small organizations – such as schools and churches. Click here to order now. 8 children come together to share their personal divorce stories to offer hope and encouragement to other children dealing with a parents' divorce. Children share their personal stories of what it's like to have a parent in the military serving overseas offering advice and encouragement that they're not alone. 10 brave kids share their stories of losing a loved one. Their advice for other children who have lost a loved one is heartfelt and healing. 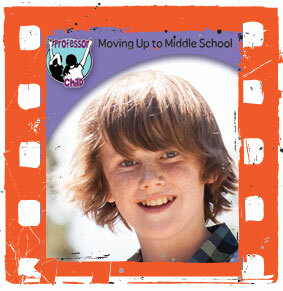 Middle schoolers share their stories, and tips, for adjusting to life in middle school. A very good addition to a school counseling library.” School Library Journal gives exceptional film reviews for Professor Child’s educational films and workbooks including: Children and Divorce, Children and Grief, and Children of Military Families. 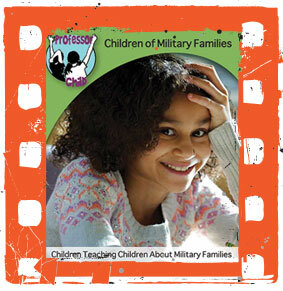 Read the entire review of each film by the School Library Journal on divorce, grief, and military families. 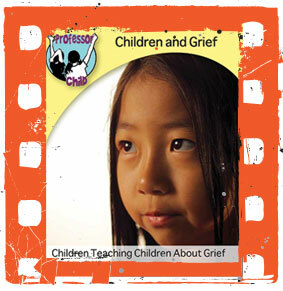 Creative Child Magazine’s educators and moms recognized Professor Child’s Children and Grief film and workbook with their 2014 DVD of the year award. Creative Child Magazine is a parenting publication for raising well-balanced children by nurturing their creativity. Read more about the DVD award …. The Children and Grief film by Professor Child receives a rave review by The Dove Foundation whose mission is to encourage and promote the creation, production, distribution and consumption of wholesome family entertainment. Our award-winning educational documentary-style film series highlight the stories of children in a profound way. Film topics include divorce, grief, children with parents in the military, and children who have a sibling with autism. Each film comes with a companion CD-ROM workbook filled with exercises to extend the lessons of the film. 2671 NW Rainbow Ridge Dr. Subscribe to receive updates & new products from Professor Child.